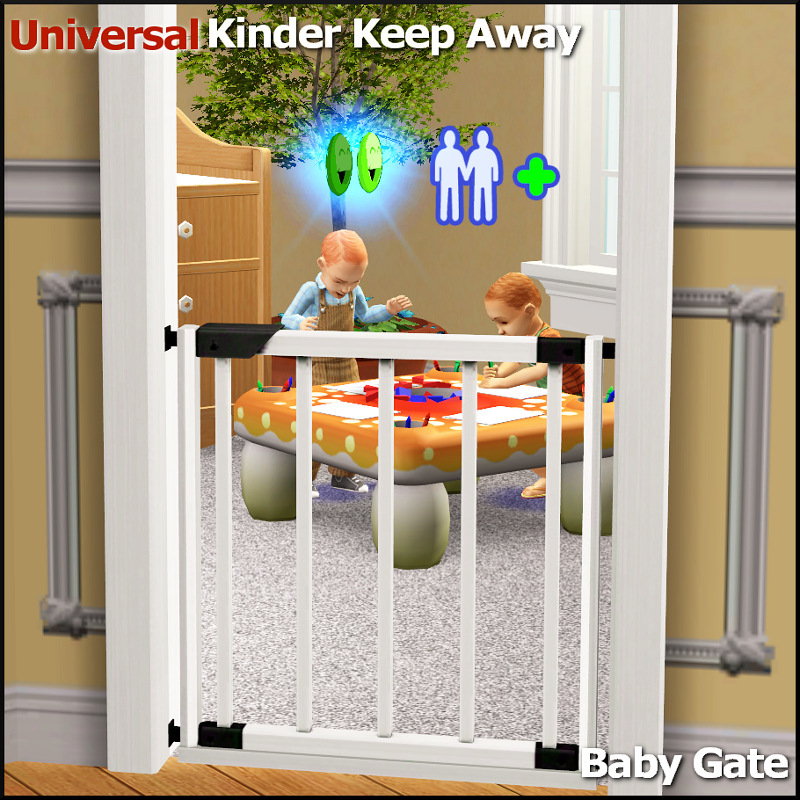 Here's a universal baby gate based on the Kinder Keep Away baby gate from the Sims 3 Store World, Aurora Skies. 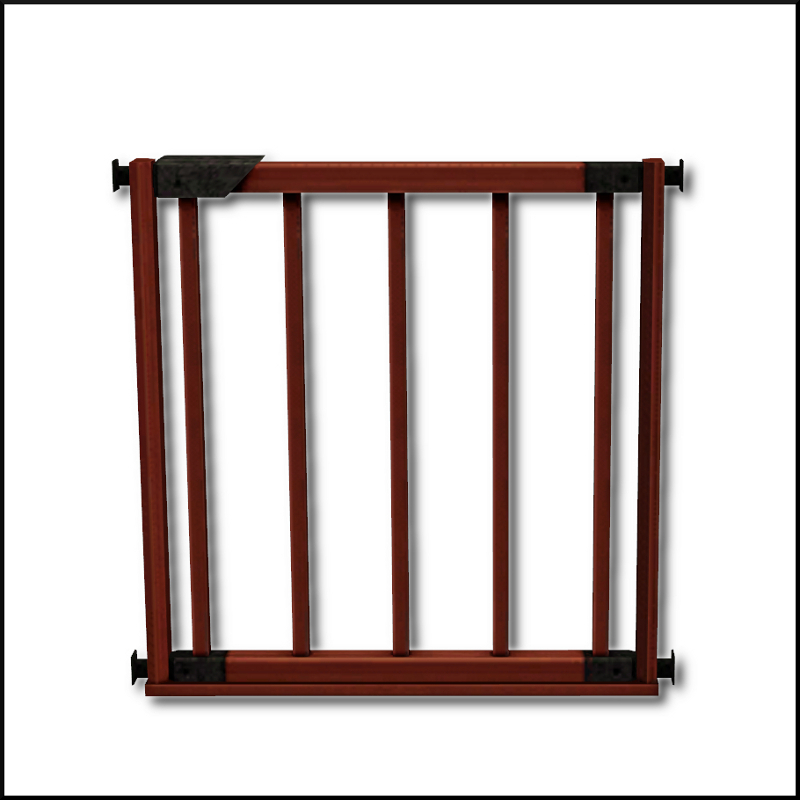 It's a stand alone gate that's meant to be combined with the arch of your choice which allows for a variety of looks with only one mesh. 1. Place the arch you want to use. 2. 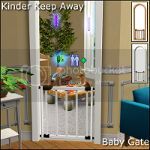 Place the baby gate over the arch. 3. Save and exit the lot. When you re-enter the lot after saving the gate will show up properly and will work. These instructions are also included in the catalog description. 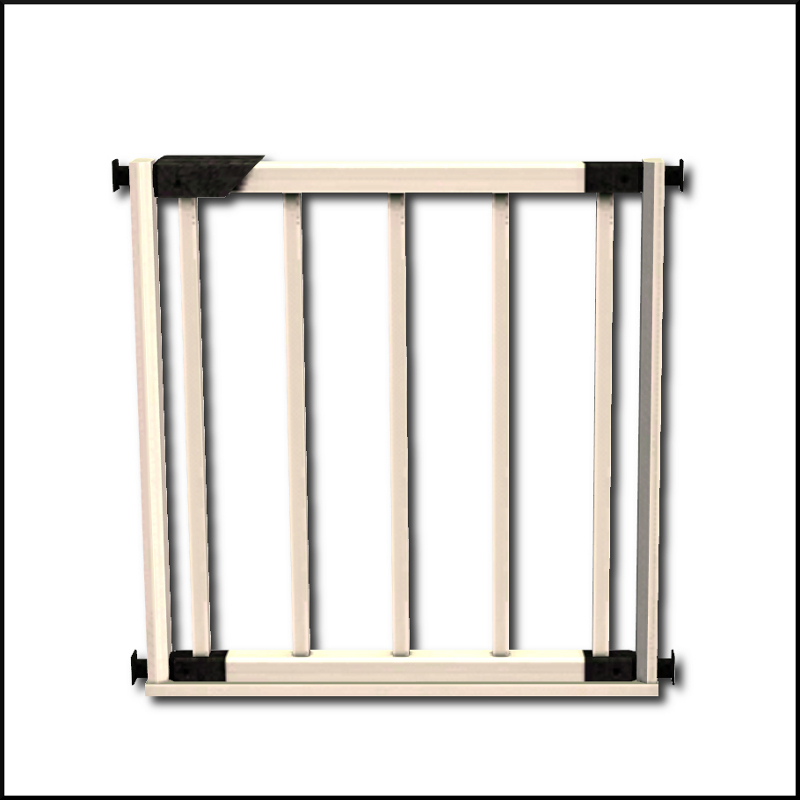 The gate gets stuck open when used on a diagonal so there isn't a diagonal included. If you place the gate first and then the arch (like in the video) the arch will work without having to save and exit but it won't work the next time you enter the lot. If your lot takes a long time to load it's a quick shortcut. Then when you're done for the day (and before you exit the game) you can follow the normal placement instructions (arch then gate) and the gate will be ready the next time you play the lot. 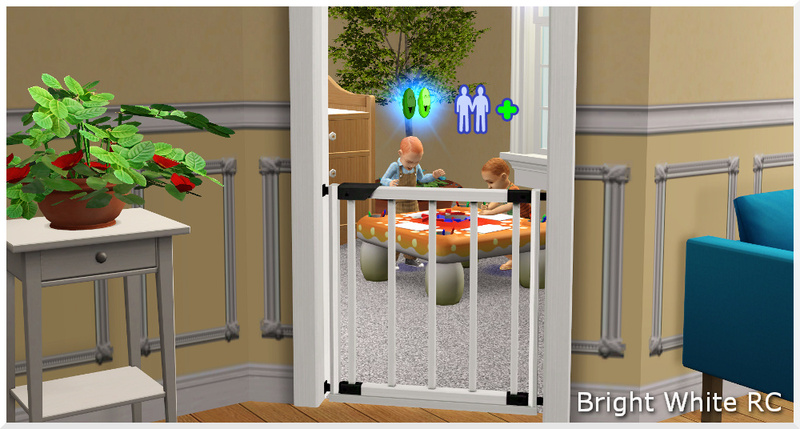 If that sounds like more hassle than it's worth, I shared the original Sims 3 baby gate conversion on my Tumblr. That version is just plop and go just like you would place a door or window and includes a diagonal version. You're welcome to use this however you'd like. If you're interested in recoloring, the PSD I made with the original textures is available HERE. SimPE, AGS, s3pe, s3oc, Gimp 2.8, Milkshape, and EA for the meshes and textures. And thanks to Numenor and Inge Jones as well -- I never would have been able to make this functional without looking at their bhav's.